In their epic Catholic Evidence Training Outlines, Frank Sheed and Maisie Ward address the prevalent spiritual illness of religious indifference. The eminent Catholic duo—renowned for their influential work as street apologists, authors, and co-founders of the Sheed & Ward publishing house—describes religious indifference as “the belief that no religion matters at all.” The indifferent man, according to the apologists, reduces religion to a sort of optional hobby—like stamp-collecting. On the contrary, Sheed and Ward argue, religion is far from an idle amusement. It is the “first necessity.” Furthermore, they do not say it is the man who rejects it who is the fool but the man who neglects it. Thus, to be indifferent is to be dogmatic about being undogmatic without knowing it. Religious indifference, according to Sheed and Ward, is usually rooted in either: the desire to appear open-minded; or outright laziness. In modern times, claiming religious “open-mindedness” is often just a nice way of professing that no religion is more true than another. At its core this term appears to be more of a rejection than an affirmation, a clever euphemism based more often on a relativistic worldview than an atheist one. Often, for the sake of reputation—a highly sought-after commodity in Western culture—the open-minded man of modernity conforms to this odd philosophy founded on the motto, “Who am I to judge?” His personal philosophy of life becomes founded on the multiple contradictory worldviews of his friends and acquaintances, rather than reality. Eventually the “open mind” of the modern man becomes so open that it starts to work against itself, and what it contains begins to seep out; and thus, this aberrant spilling out of the intellect leaves the open-minded man empty-minded. One might say that this modern “style” of open-mindedness also becomes the kind of self-sacrifice that fails miserably to conform to the life and love of Christ, and winds up as an outright rejection of the one true God on the basis of ignorance. It becomes an explicit failure to imitate Christ—for no person in history held more strongly to religious absolutes than Jesus. And then there’s the lazy man. It doesn’t take a genius to recognize that laziness has become an extreme epidemic which has metastasized throughout our culture at all levels of society, fed by a “culture of convenience” obsessed with pleasure seeking. The fact is, true religion is hard and it’s results are not immediately palpable. Moreover, and unlike a McDonald’s experience, the effects of true religion are not always immediately pleasing to the senses. Yet religion is in fact the pathway to the fulfillment of all our desires. It would not be inaccurate to say that religion, properly practiced, “hurts so good“; and no truly devout follower of Jesus who has conformed his life to the Gospel would tell or show you anything different (and the best evidence for this lies in the writings of any and every Catholic saint). Truly the happiest people in all of history are the saints of the Church, as their lives and the testimony of their contemporaries conclusively attest. The common denominator among this diverse group of holy men and women: true, organized, dogmatic religion. Man is social by nature. There was never a time in history when he did not pursue friendship as a means to personal fulfillment. Man is also religious by nature. There was not some singular moment in history when man suddenly “took on” religion for the first time. History clearly testifies that man is made for religion; and particularly the religion that houses the Eucharist at its center. Every part of man is thus designed to take him to that supernatural end—that end being, namely, Jesus Christ, and eternal communion with Him. So to be indifferent to seeking religion truth, it seems, is to be resistant to the possibility of discovering one’s essential purpose. This refusal seems more like close-mindedness and very hard work, and less like open-mindedness and laziness. This conclusion was crystallized for him in the Nazi concentration camps. Frankl recognized, upon the analysis of his persecuted brothers in the concentration camps, that those who found meaning in their suffering tended to be the survivors of the horrendous tortures of daily life in the camps. Thus he concluded that man’s fulfillment and ability to thrive depended on his ability to find an existential purpose for his life. It would be hard for any person who reflects on Frankl’s work to disagree with his fundamental conclusion — man requires a discovery of true purpose to achieve lasting fulfillment. This seems commonsensical according to experience. Surely, nothing can be properly “used” or properly benefited from without first realizing what it is for. To use a razor blade for splitting firewood or a car for a glider, fails to use them according to their final and intended purposes; it is a rejection of their true natures and chaos is the result. The same principle thus applies to life — to live rightly a person must know what life is for. Otherwise chaos ensues. Religion, however, is not just an “option” for purpose-seekers. True religion at its essence is about living according to reality. For if any religion is based on false doctrine, a person would be just as insane to follow it as to follow no religion at all. But I think we have good reason to believe that Catholic Christianity is not founded on false doctrine, but rather, that it is grounded in reality. Today, for instance, we have a broad range of good evidence for Jesus’ divinity thanks to the work of such scholars as N.T Wright, Peter Kreeft and Craig Blomberg. This evidence for Jesus’ divinity can then be built upon a foundation of compelling arguments for the existence of God, such as the moral argument, the Kalam cosmological argument and the teleological arguments for the fine-tuning of the universe, which have been developed and refined by the likes of Fr. Robert Spitzer and William Lane Craig, among others. Moreover, when such a prominent atheist as Antony Flew changes his mind on God’s existence, one might be inclined to see such an event as a testimony to the growing strength of the evidence for the existence of God in scientific and philosophical studies. Finally, an honest biblical and historical analysis —particularly in light of the writings of the early Church fathers — leaves one with little doubt about the identity of the Catholic Church; and for this reason a “steady stream” of converts, many of whom are non-Catholic clergy, are entering the Catholic Church often as a result of in-depth pre-Reformation and early Church studies. But as a former skeptic and fallen away Catholic myself, I have not always been convinced that there are good reasons to believe in the claims of the Catholic Church and its teachings. I am convinced now. Furthermore, I believe that the best evidence for the fullness of religious truth lies in favor of Catholicism. Why would the devil have such an interest in the indifferent? Perhaps because a necessary symptom of the condition is unrepentance; and without repentance all men succumb to their sins. How do we as disciples of the New Evangelization address this issue of indifference? We must engage the culture; not just with good arguments, but with an appeal to the human heart. “Dialogue before debate” is probably the best policy with this particular brand of the lost. In fact, it is usually the best policy with any brand of the lost. To evangelize the indifferent, Sheed and Ward encourage focusing on man’s intrinsic desire for purpose—a heart issue more than a head issue. Surely no person has been sterilized of their desire for purpose. They just might have given up. It is our duty to engage these people. And there are simple, practical ways to do this. In Evangelii Gaudium, Pope Francis suggests quoting the living Word of God as it applies to a dialogue, or sharing one’s testimony if the door of opportunity opens. Even the hardest of hearts was made for the Sacred Heart and for that reason we must not be afraid to “go out” and speak to the critical issues that face us today. Read good books, develop your evangelization skills, learn the arguments and pray. Most essentially, we must remember that evangelization is all about invitation—invitation to truth. See also: Preparing to Intelligently Engage The Culture: A Basic Plan. 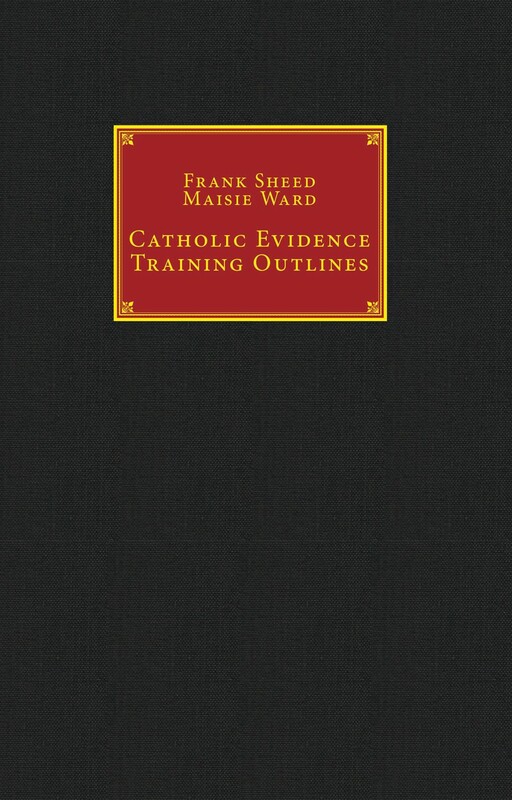 Catholic Evidence Training Outlines by Sheed & Ward. Previous Post Is C.S Lewis’ Trilemma A Good Argument For The Divinity Of Christ? 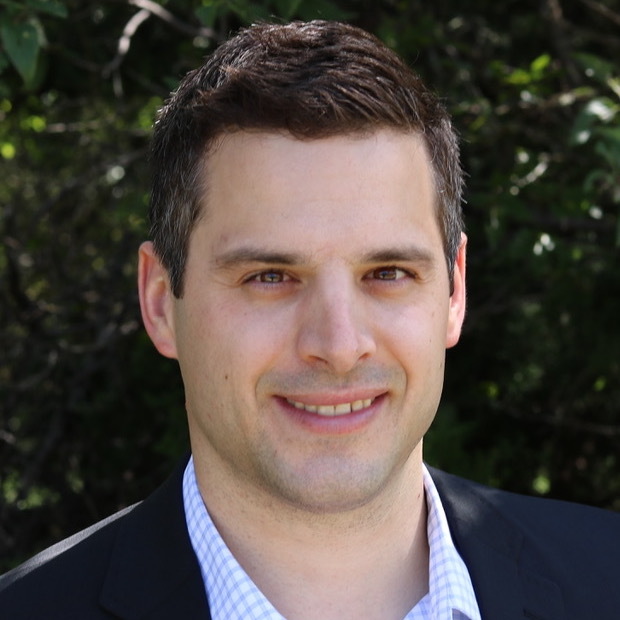 Found your blog through Convert Journal, and so glad I did! Liking, sharing, and proclaiming this throughout the blogosphere. Keep up the good work; you have yourself a follower, sir!